But the more moments we capture, the more challenging it becomes to relive those memories. Photos and videos become littered across mobile devices, old computers, hard drives and online services (which are constantly running out of space). It’s almost impossible to find that one photo right at the moment you need it, and sharing a bunch of photos at once is frustrating, often requiring special apps and logins. We wanted to do better. 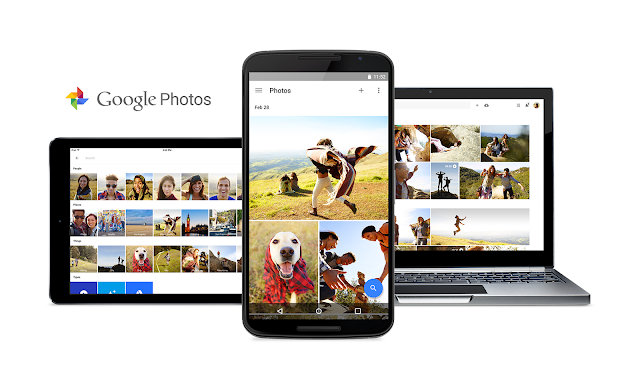 So today we’re introducing Google Photos—a new, standalone product that gives you a home for all your photos and videos, helps you organize and bring your moments to life, and lets you share and save what matters. And when we say a lifetime of memories, we really mean it. With Google Photos, you can now backup and store unlimited, high-quality photos and videos, for free. 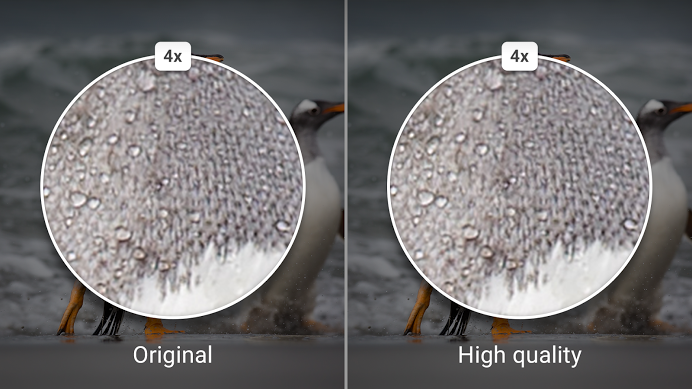 We maintain the original resolution up to 16MP for photos, and 1080p high-definition for videos, and store compressed versions of the photos and videos in beautiful, print-quality resolution. For all the storage details, visit our help center. 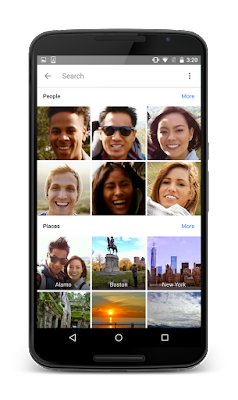 Google Photos automatically organizes your memories by the people, places, and things that matter. You don’t have to tag or label any of them, and you don’t need to laboriously create albums. 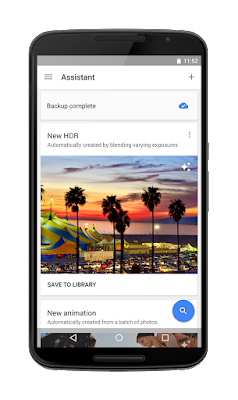 When you want to find a particular shot, with a simple search you can instantly find any photo—whether it’s your dog, your daughter’s birthday party, or your favorite beach in Santa Barbara. And all of this auto-grouping is private, for your eyes only. The app can also help you quickly enhance photos and combine them in new ways to help you relive your life’s moments. In one tap, get instant adjustments tuned to the photo’s color, lighting, and subject to make each photo look its best. 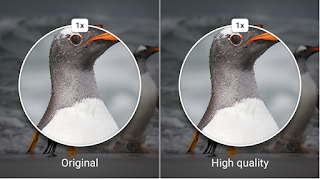 Press the “+” button to create your own collages, animations, movies with soundtracks, and more. If you swipe to the left, you’ll open the Assistant view, where we’ll suggest new things made with your photos and videos, such as a collage or a story based on a recent trip you took. After previewing the creation, you can choose to keep, edit, or discard it. 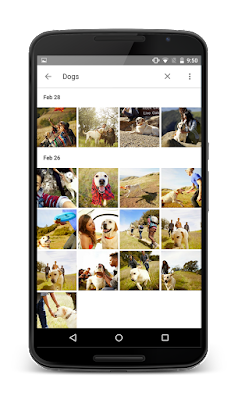 With Google Photos, you have the choice to share your photos and videos however you want across any service you choose, from Hangouts to Twitter to WhatsApp. 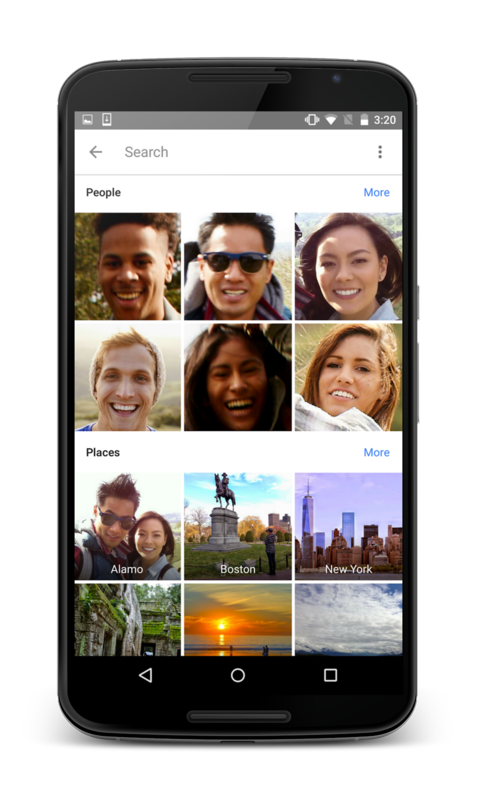 But even then, it’s still remarkably difficult to share a lot of photos just with friends and family and keep the ones shared with you—it usually involves a lot of downloading and re-uploading across a number of different services. We wanted to make sharing much simpler and more reliable. You can now take any set of photos and videos, or any album, and simply create a link to share hundreds of photos at once. 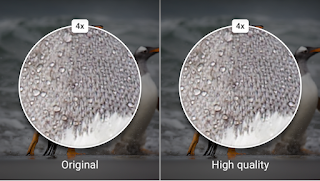 The recipient can see what you shared without a special app or login, then immediately save the high-quality images to their own library with a single tap. 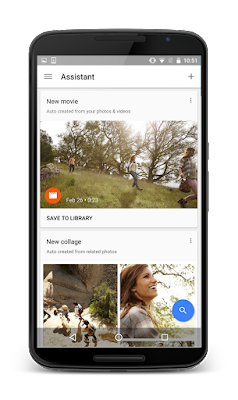 So now it’s easier to hang on to the photos you care about even if you weren’t the one holding the camera. If you want to give Google Photos a whirl, it's available now on Android, iOS and the web. With this launch we've made a lot of progress towards eliminating many of the frustrations involved in storing, editing and sharing your memories. But we have a lot more in store—so as you keep snapping photos and capturing videos, we’ll keep working on making them even easier to store, share and bring to life. Every second of every day, people around the world are capturing their memories through photos and videos. Humankind has already taken trillions of photos and will take another trillion this year alone.